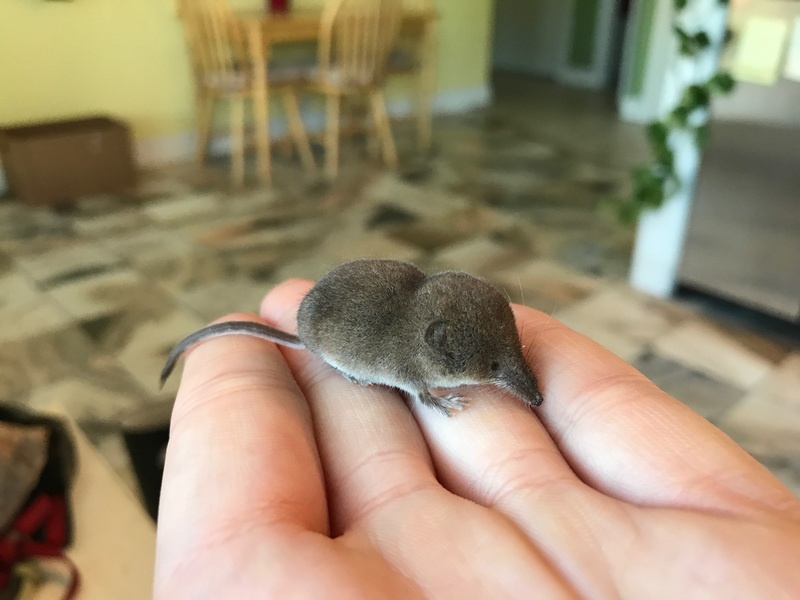 In years past we have enjoyed our participation with the many different species of wildlife brought to us for: care, rehabilitation and fostering... But sadly the times are changing and so must we. 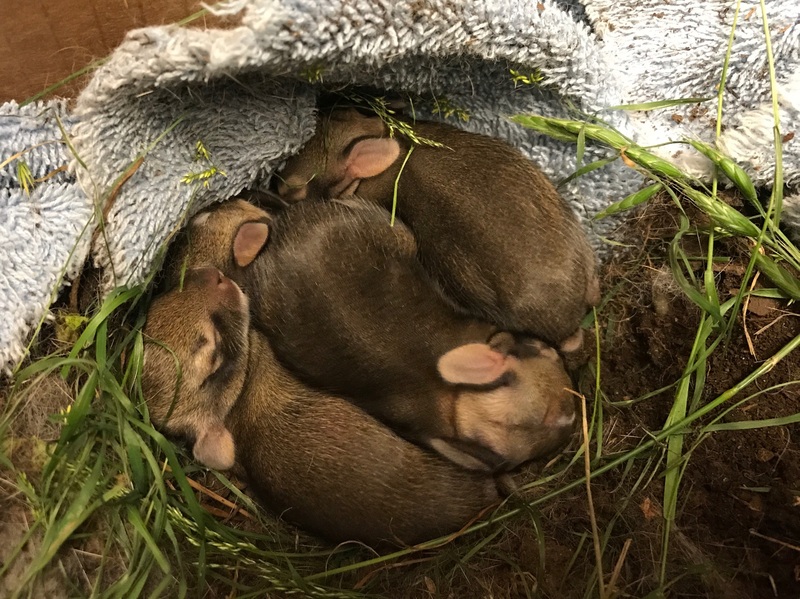 As of 2019 we will no longer be able to accept orphaned wildlife for fostering and rehabilitation. This is a hard decision that comes due to changes in regulations to protect our domestic animal patients and prevent unintended habituation of wildlife to people and domestic animals. 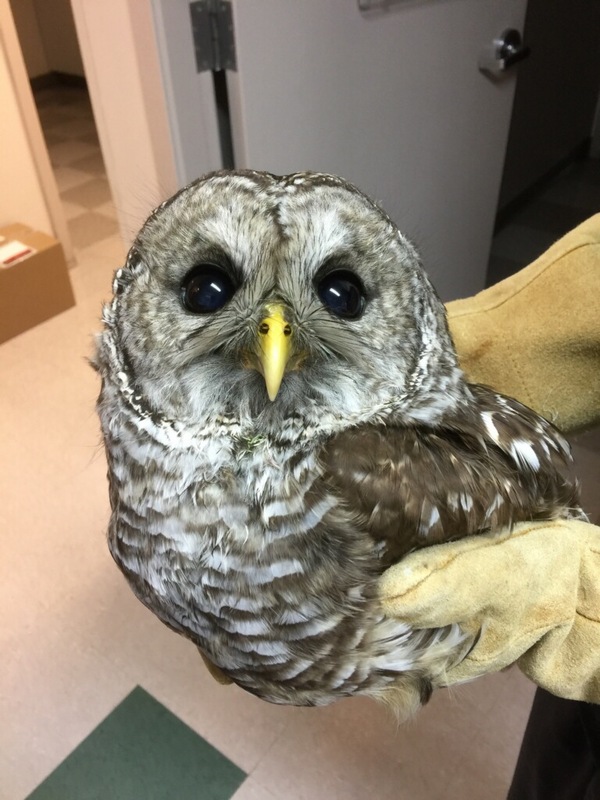 We can still evaluate seriously injured animals to ensure they are provided with humane care and/or recommend transfer to a rehabilitation center. We will greatly miss participating in the rehabilitation and release of these orphans but recognize this is needed to protect all in our care. We appreciate your understanding and encourage you to extend your support to the few remaining organizations able to meet the State of Washington regulations. Call our office (360-458-7707) before touching or moving any animal. 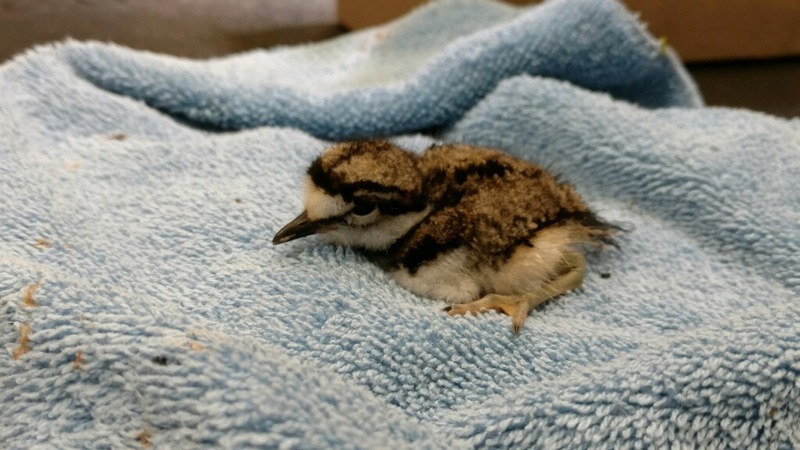 For baby birds: If you are able to locate the nest you may return them, they can fall often while learning to fly. For baby raccoons: Mother may come and go throughout the day, please do not disturb or move. If you know for certain the mother has been killed you may bring them to our office. For baby bunnies: Mother may come and go throughout the day, even if the nest appears disturbed she will likely return for her babies, please do not disturb or move. For baby squirrels: They may fall from the nest, mother is able to carry her baby back up the tree to the nest, please do not disturb or move. For fawns: Mother may only visit occasionally during the day and leave her baby in a safe place while she is gone, please do not disturb or move, she will come back even after dusk. Don't be a fawn-napper! 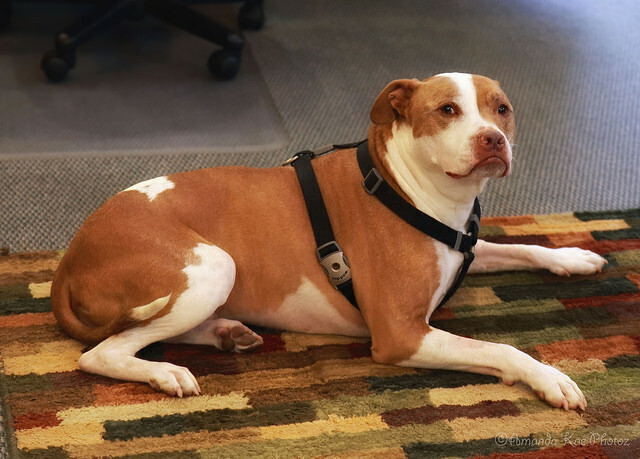 If an animal is obviously injured, bleeding, unable to move, broken bones, you may bring them to our office. If you have an animal in your care it is important not to feed, if done incorrectly or with inappropriate food this can be harmful. 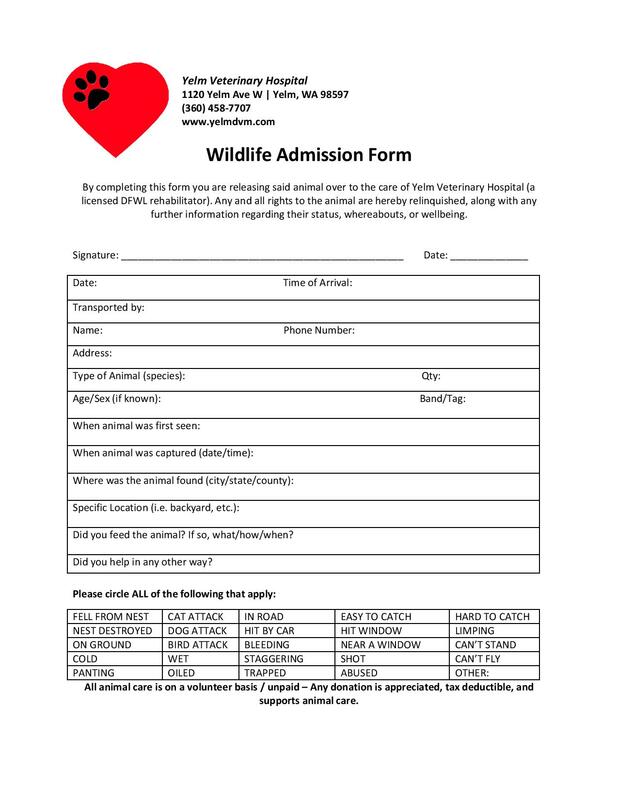 We are unable to come and pick up wildlife, you must bring them to us yourself, only if this is possible without further injury to the animal or yourself. 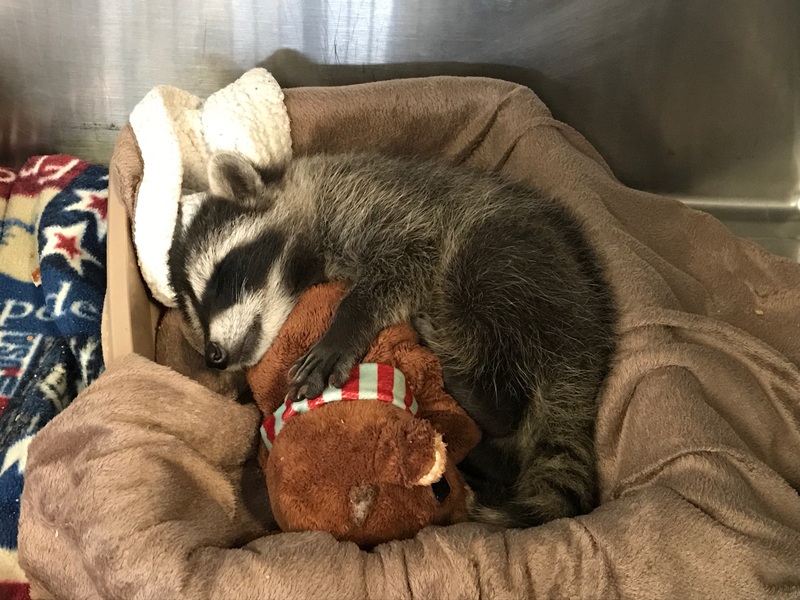 It is illegal in our state for an individual to retain a wild animal, it must be turned over to a licensed facility or released back into the wild in what ever state it may be in. Remember, these animals stand a far better chance at survival in the wild than with any rehab!